Katie Can Too! : Melbourne Madness! 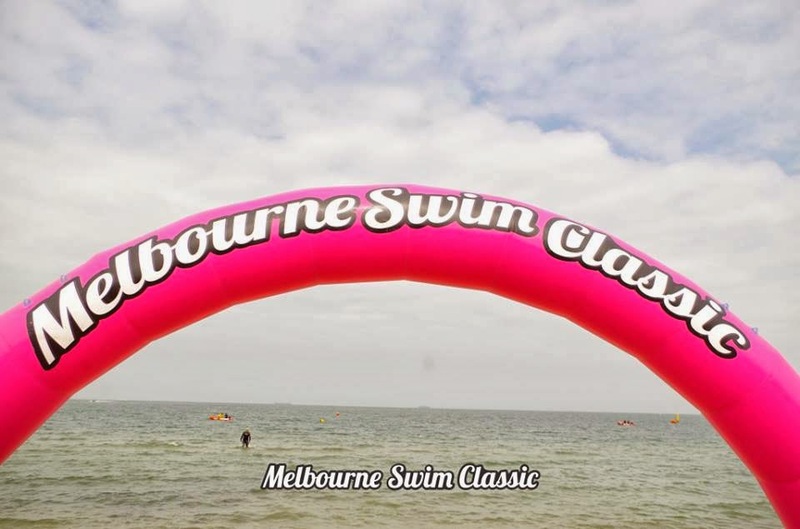 First time out for this new, privately run swim at St Kilda. 5km followed by a 1.2km. Luckily for me it was disorganised chaos as my flight ran late. 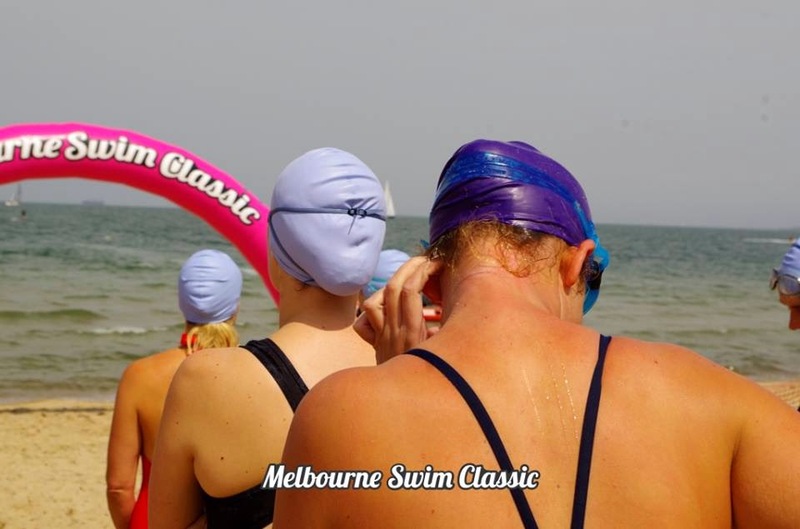 Floyd is a swimmer and promoter and suffers a rare blood condition so organised a swim to raise funds for Royal Children’s Hospital. That is not nearly as easy as I might have made it sound and the whole thing ran horrendously late but everyone's attitude was to be admired. 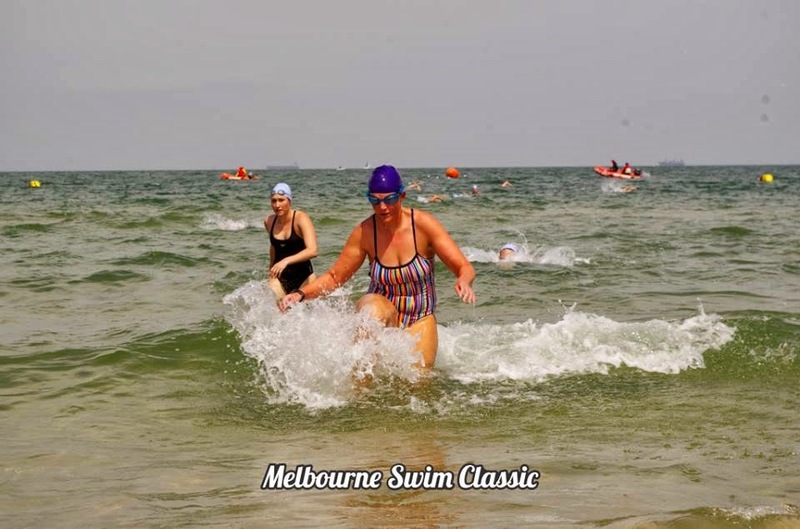 The 5km was 4 x 1.25km laps around St Kilda Bay which was a gorgeous 20 degrees but wetsuits were the order of the day – and I followed the trend. It ended up being about 5.6km as one of the turning buoys was so close to shore it had to be moved as we were all stroking the sand as we swam by. Some amazing views, the far industrial shore of Port Phillip Bay. Luna Park. St Kilda “surf” club, the beautiful pier and the long beach. Love a good view. I was very, very ready to finish and finish last. Hopped out and the race organiser offers 400m entry. So off I go again. Had a rubbish start. But a great hit out between the 5km and 1200m. And wonderful swimming without the wuss suit! Yet another lap for the 1200m. Had a cracking race. Thoroughly startled by the fly board (you know the water propelled pack James Bond uses in Thunderball – yeah that) which makes the weirdest sound through the water. Finally finished an hour and half after anticipated and head to Echuca for the evening. up early for the Cohuna (another hour’s drive) Bridge to Bridge. 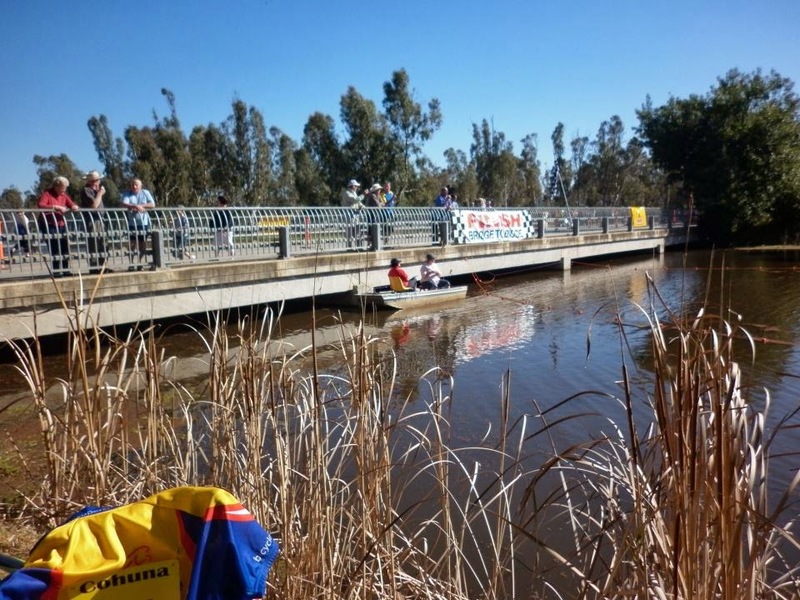 This swim has been running for 21 years down Gunbower Creek (an offshoot of the Murray River). It starts at one bridge and finishes at the main bridge in town 8km later. The current is an unbelievably huge advantage in this swim. I was incredibly stoked to finish the Cole Classic 9km in 2:51. So you can imagine how incredibly excited I was to finish this swim in 2:22. Swimming down a river is a delightful, peaceful experience with ever changing scenery and unusual challenges for an ocean swimmer. Fresh water so no buoyancy. Every single swimmer bar 2 wore a wet suit to cope with this. So, yet again, I did too. One of the things I love about swimming is how little kit is required. Goggles, cap, cossie. Sorted. Not so as you progress but I digress. Sighting an endlessly shifting water course is totally different to sighting a headland or a buoy. Luckily, for the entire swim I had a lovely swimmer, Lauren, within sight and her dad paddled just behind her making a relatively easy mark. Swimming over submerged logs made for a fun obstacle course. But the hardest thing was the opacity of the water. I wear my beloved Garmin 910XT in almost every swim. It was my birthday present to myself last year when I did the Can Too run program. It’s a cracker of a GPS watch, and the most accurate swim watch going (according to the experts at 4Seasons). It does loose satellite reception disturbingly often but when the water is so murky you can’t see your hand in front of your face it doesn’t really matter. I really had no idea how much you sight using underwater markers. Very discombobulating. As I said, swam the whole way with Lauren in sight, finally caught her at the 1km mark and we spurred each other to sprint to the finish (which was a boat floating next to the bridge). So lovely to have company. And not only that, we weren’t last! Second and third females overall. Such a wonderful way to see a whole new part of the country. Super friendly country hospitality – everyone was delighted we’d come from Sydney. Not to mention the Devonshire tea!